If you were following 1967beetle.com in 2015, you probably remember us doing an article about Jody Sauvageau’s L633 VW Blue ’67 Beetle. Fast FWD, a reader and follower currently has shared a new short montage that just surfaced of this fantastic and very correct one year only gem. Nice one, Jody! Let’s all aim our timing lights up North! Hello, I'm Eric. I started 1967beetle.com. 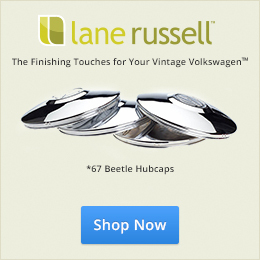 I also own Lane Russell, a leading supplier of VW parts for your classic Volkswagen restoration. I drive a '67 Beetle daily and love to share vintage Volkswagen stories with the world. Receive new posts in your inbox. © Lane Russell - 1967beetle.com. All Rights Reserved. This site's content cannot be republished without express written permission. 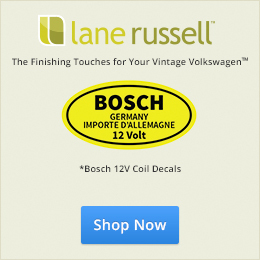 This site is not affiliated with or endorsed by Volkswagen AG or Volkswagen of America, Inc.